Big fluffy dogs are prized as well as desired pets for their long fluffy coat which is soft to the touch and makes them look beautiful. Your preference on what fuzzy breeds of dogs you want as pet companion is dependent on how long, the dog lives, its height, weight, personality, etc. To make things easier for you, a compilation of some of the best fluffy canine breeds below will help you make your selection by judging each fluffy dog listed. Maybe after reading, you might decide to take more than fluffy canine if some of them catch your fancy. The American Eskimo is a big fluffy white dog which despite its name has German origins and is descended from German Dog breeds like the Keeshond and Pomeranian. These big white fluffy canine were brought to America by German settlers during the early 20th century. The dog was given its current name due to anti-German sentiments in World War 1. The American Kennel Club (AKC) gave this white fluffy dog breed recognition in 1994. 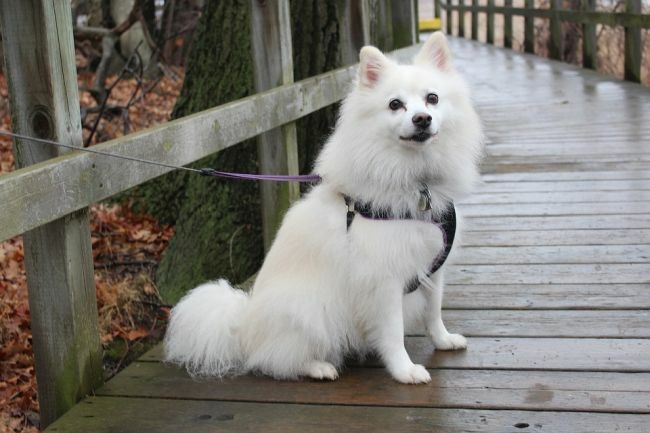 American Eskimo dogs are some of the breeds due to its double, stand-off coat that gives them insulation against cold and resists soaking. Even the breeds’ ears are resistant to cold. The canine has an alert, yet keen expression with lively, fun-loving personality that you can enjoy. American Eskimos are also obedient, with an independent mind and love to run around in cold weather. Being calm and well-mannered as also some of the canine’s traits and gets along with everyone be it your kids or other dogs. The coat is either pure white or white & biscuit-colored. This purebred breed can adjust to an apartment or house with a yard. All the dog needs are an exercise to stay fit though depending on whether it’s a Toy, Miniature or Standard it may require more activities. Make that you give your pet some shade and lots of water to cool off. The Alaskan Malamute fluffy dogs’ forebears came from Siberia and accompanied it, native peoples when the crossed the land bridge that led to Alaska. The Mahlemut tribes developed the breed, and later Arthur T. Walden began breeding the canines who were used as sled dogs for Antarctica explorations. Other people would further improve the kind, and in 1935 the Alaskan Malamute Club of America was formed. Later in the same year, the American Kennel Club or AKC gave the Alaskan Malamute recognition. Alaskan Malamutes are friendly, loyal, playful, affectionate, devoted to you and dignified in temperament. The breed is a purebred canine as well as a working dog. The dog’s ability to haul loads due to its strength and endurance makes a valuable canine. This big feathery dog is not hypoallergenic and sheds a lot. The canine’s coat is thick and double coupled with a coarse outer skin as well as a wooly, dense, oily undercoat. These fluffy dogs‘ coats have black, gray, red or white colors either mono or combination. 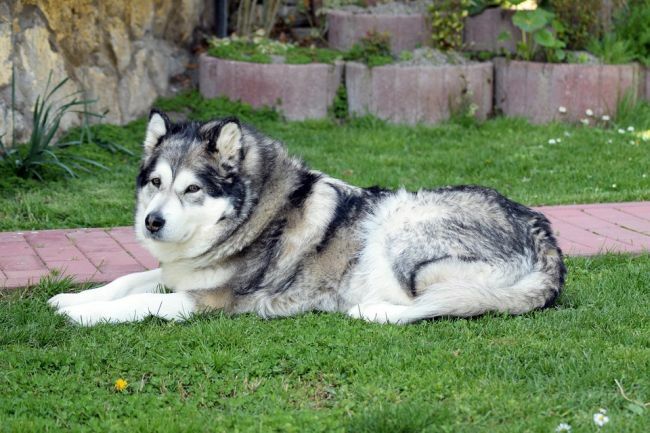 A home with a large yard is the best environment for Alaskan Malamutes, and they thrive in cold climates. Malamutes get along with kids, loves daily exercise and easy to train. The breed can get aggressive with strange dogs or humans, and it might be hard for you to housebreak it. The Golden Retriever came from Highlands of Scotland during the 1800s by Lord Tweedmouth. He crossed the Tweed Water Spaniel (extinct) with the Irish Setter and Bloodhound breeds. This member of one of the big fluffy doggie breeds is not just a pet, but also a service dog, narcotics dog, guide dog and therapy dog in its history. This purebred dog has gold, dark gold or light gold colors in its fluffy coat. This large fluffy dog has a kindly expression that matches its friendly nature and is compliant with your command. The canine can get along with other pets and with your children as well as easy to train. Your pet will be okay in living in an apartment though its needs daily exercise and is moderately active. The canine’s fluffy coat is not hypoallergenic. This breed is the largest fluffy dogs in the world, and the Tibetan Mastiff is a giant fluffy dog. Compared to other dogs. Originating from Himalaya, this canine’s bloodline stretches far into antiquity and is a guardian of the villager’s livestock and the monks’ temples. Some cynologists think that this canine is the forefather of mastiff breeds that live in large mountains. The AKC has given recognition to this dog in 2007. Truly the Tibetan Mastiff is the biggest fluffy dog breed. The coat hair of a Tibetan Mastiff is thick and long with straight, hard, coarse hair. Males have denser coats, unlike the females. 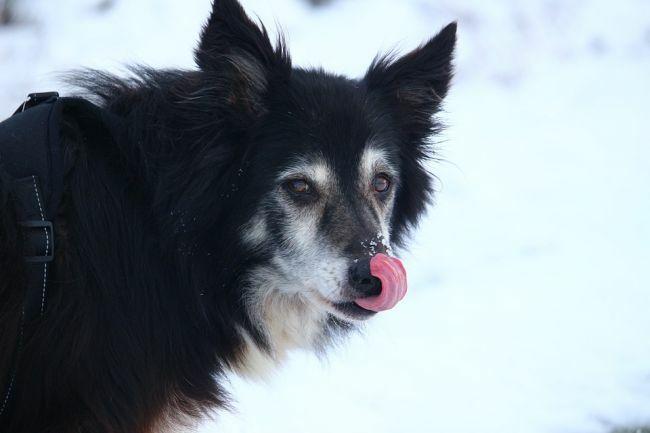 In cold weather, the dog has a dense undercoat and a little one in warm weather. Sine this purebred canine sheds seasonally, you will be cleaning its hairs seasonally. The coat colors are red, black, gray, black & tan, blue and brown. The dog has a protective, yet affectionate, energetic and playful temperament. 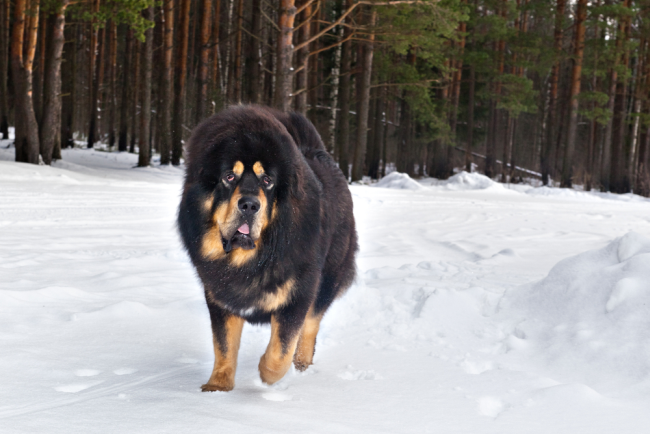 A Tibetan Mastiff can live in an apartment and needs only average exercise and a walk outdoors. Being cooped up all day indoors can cause destructive tendencies in the dog. The breed is also alert for intruders due to its protective and guard dog instincts. 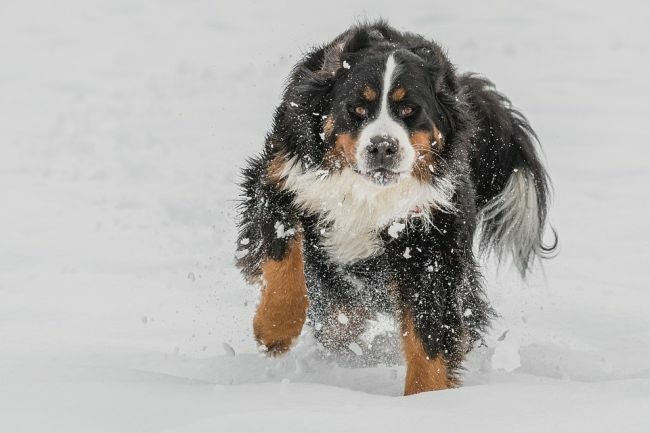 The Bernese Mountain dog is from Switzerland, and its ancestors are mastiff-type dogs that accompanied the Roman armies when they came to Switzerland some 2000 years ago. The breed’s main purpose is to act as a farmer’s watchdogs, drive cattle to pasture and pull milk carts. Even today, these big fluffy dogs are still doing their jobs. The Bernese almost went extinct, but in the 20th century, it was revived as a pet companion. As of 1937, the AKC gave the dog recognition. The Bernese is a purebred, and its double coat is straight or slightly wavy with the hair being moderately long. Hair colors are either black or white. While reserved at strangers, the dog is gentle with your kids and gets along with other pets that you own. The canine will be loyal to you and is devoted, easy-going and calm. If you are living in an apartment, then this dog is not for you since it prefers wide spaces like yards. Expect the Bernese to shed, and its hair is not hypoallergenic. The dog likes cold weather and loves to go outdoors for exercise. Do not do any strenuous workouts for the Bernese if it’s still young. The Samoyed is a member of big fluffy white dogs that takes its name from the nomadic Samoyed tribe living in the Siberian tundra. The dogs live alongside their masters, hunting with them, herding reindeer and hauling sledges. Samoyeds were exported to just before and during World War 1 by Polar explorers. The English took the breed as a pet, and they made their way to the United States eventually. By 1906, the Samoyed has recognition from the AKC as a purebred. Due to the canine’s original environment, its double coat is heavy as well as water resistant. The outer layer is harsh and straight, while its undercoat is soft and thick. Hair shedding is constant, but the Samoyed is a hypoallergenic dog. Coat colors are white, biscuit, cream or white & biscuit. However, grooming the dog is a high maintenance job so that you will need a professional groomer. The breed will bond with you and your family, be amiable to strangers and other pets. 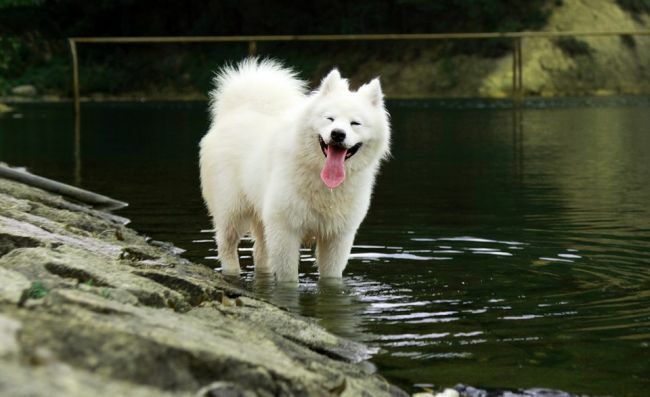 The Samoyed adapts to a house with a yard or an apartment and will need exercise daily. Physical and mental stimulations are a must to prevent the dog from getting bored. Since the canine belongs to fluffy breeds that are bred for cold climates, hot ones are not suited for it. The Old English Sheepdogs are cute fluffy dogs that are related to the Scottish Deerhounds and Poodles. English farmers wanted a canine that is well-coordinated when it came to herding sheep along with driving cattle, and the Sheepdogs fulfilled that role. Sheepdogs are some of the fluffiest dogs ever that even farmers would shear their coat to make clothes and blankets. Coat colors are blue & white, blue-gray & white, blue merle & white, gray & white or grizzle & white. It was in 1873 that the breed was first shown and in 1888, the AKC gave it recognition. The Sheepdog is a purebred big fluffy canine with a non-hypoallergenic coat that sheds a lot so you will need to vacuum or clean it fallen hair often. The coat also has an outer coat that is hairy, hard and hair that is neither curly nor straight. Sheepdogs love the company of their owners so you will need to spend time with them. The breed is also intelligent, social, has a clownish attitude and likes children if you have some. Daily walks, running and jogging are activities this canine loves. Sheepdogs can live in an apartment or houses with yards. 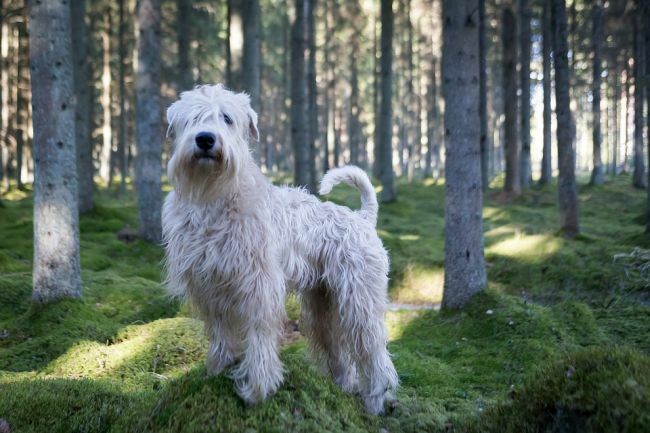 Irish fluffy dogs like the Soft-coated Wheaten Terrier are used as hunters and guardians of homes. The breed shares a common ancestor with like the Irish Terriers and Kerry Blue. Soft-coated Wheaten Terrier dogs are 200 years old, and it was only in 1937 that they were recognized as a separate breed. The Soft-coated Wheaten Terrier is a purebred with a hypoallergenic coat with only one color: wheaten. Unlike other types of big fluffy dogs coats like the terriers, these big fluffy dogs’ fur is distinguishable due to its abundant and soft properties as well as being long and silky. Personality-wise, this canine is playful, fun-loving, affectionate, gentle and responsive to your wishes. This terrier will like kids if you have any and others pets you have. A bit headstrong sometimes, so you need to be firm. What you need not worry about is hair shedding since it’s minimal. Moderate daily exercises are good enough for your pet and adapt well to an apartment or house with yards. Be careful since the dog cannot tolerate heat very well. Only a few fluffy dogs like the Chow Chow can boast of a lineage that dates back aeons ago or 2000 years at a minimum. The breed antecedents are traceable back to China’s Han Dynasty where it was a sporting dog for nobles hunting partridge or pheasants. Victorian-era Englishmen like the canine thus it becoming popular among them and in 1890 the Chow Chow was brought to America. Today the Chow Chow is a pet and a guard dog. 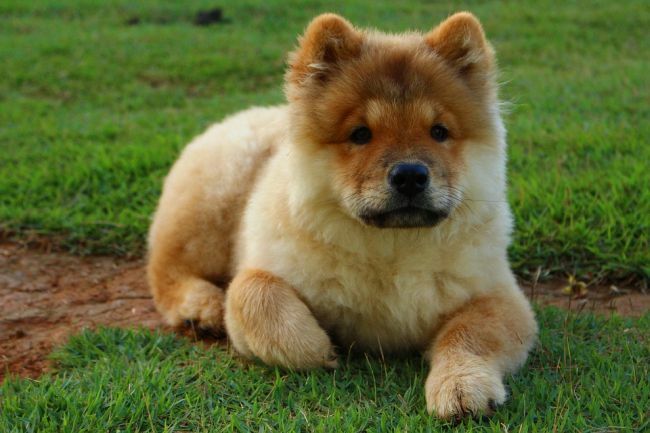 As a purebred canine, the Chow Chow’s non-hypoallergenic coat can either be rough and straight or hard and smooth. The Chow Chow’s seasonal shedding coat has colors that are black, blue, cinnamon, red or cream. Both coat types have wooly undercoats perfect for cold insulation. The hind legs’ vertical angulations give the canine a short, stilted gait making it a unique trait for it. Even if you are the dog’s master, its personality is reserved and undemonstrative as well as independent and stubborn. Also suspicious of strangers, aggressive to other canines and not good with children, but the dog is protective and devoted to you and your family. If you are living in an apartment, or a house with a backyard, the breed will thrive in both environments. 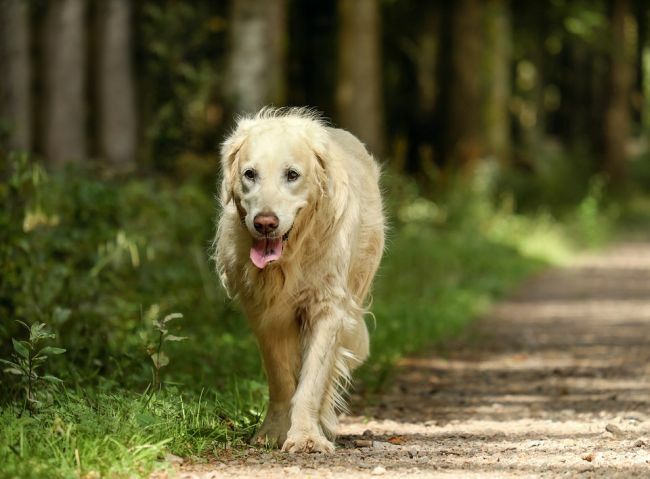 Daily walks are good exercises for the dog, though it can be sensitive to hot weather and it fits more in a colder climate like other big fluffy dog breeds. Unlike other fluffy dogs, the Bouvier des Flandres has no accurate record on how the breed was created. The only facts that are certain this canine is that its origins are from Belgium. The monks of the Ter Duinen monastery that gave some early contributions to the breed’s development. 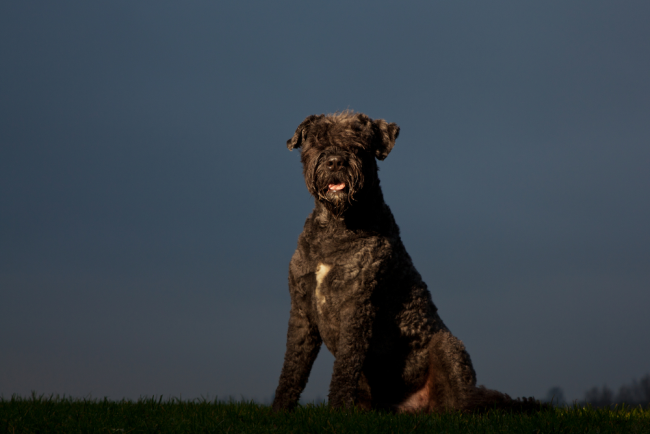 Another fact about the Bouvier des Flandres is that its original purpose is to be a working canine. Cart pulling, sheep herding and driving cattle are some the task that the dog performs. Eventually, the Bouvier des Flandres also found work in police and protection as well as hauling ambulance filters and weapons for French armies along with Belgian ones. Today the breed is has become a pet companion. The dog’s colors are pepper and salt, fawn, grey brindle, black or brindle befits for a purebred such as itself. The moderate-shedding, the hypoallergenic coat is waterproof thanks to its double-tousle trait and its fine undercoat along with a dry out coat. The breed’s head has a moustache and beard. Personality-wise the Bouvier can be independent-minded, yet biddable and willing to please you. The Bouvier is loyal, brave, devoted and protective of you and your home. Also good with children and more accepting of strangers. Indoors the Bouvier is relatively inactive be it an apartment or house. He breed has enough energy for long walks or running daily. The breed can thrive in both kinds of weather. The Spitz family of fluffy dogs has many descendants that include the big fluffy dog Bouvier des Flandres. The breed was and is popular with the folks of Holland and is used for a wide variety of work like being a herding dog, a watchdog, draft worker and hunting. Keeshonds also serve in barges be it a guard or a companion. AKC gave the breed recognition in 1930. The Keeshonds are purebred fluffy dogs, and their non-hypoallergenic coat has black & silver, gray silver & black, gray & black or gray cream and black as colors. You can see that the layer has a long, straight, harsh outer coat, coupled with a mane and thick downy undercoat. All of those characteristics insulate the Keeshond from damp and cold. 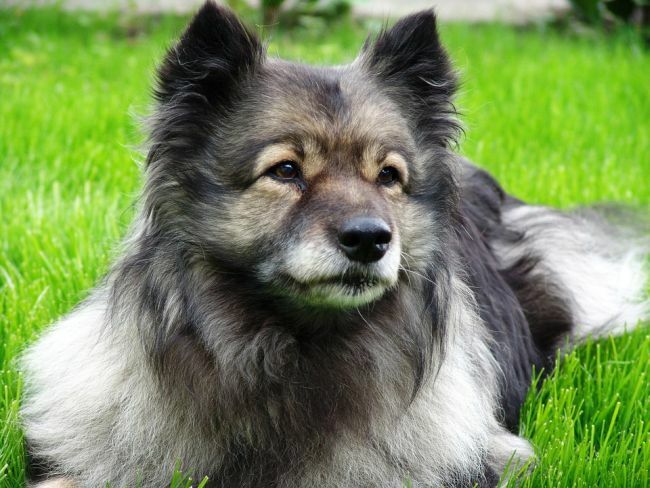 The Keeshond has many of the traits that you want in a house dog; energetic, playful, loving, and attentive. While friendly, the canine is an excellent watchdog. Due to its thick coat, the dog prefers colder climates, and you have to avoid exposing your pet to heat for too long. Apartments are okay homes for your pet, but it should have a yard. Daily walks will keep your Keeshond fit, and it needs stimulating activities especially it spins in circles. There is two way to get one or more of these big fluffy dogs: you can contact a breeder of a specific type or go to any big fluffy dog rescue centers. Just remember that when owning one of these fluffy dogs, you need to invest time and resources to your would-be pet’s needs. If you don’t have your very own fluffy and would like one, then don’t hesitate. Find one that fits you; give it home and take excellent care of it. The dog will be a welcome addition to your home and family.